NOTE from DearMYRTLE: The following was just received from the National Genealogical Society (NGS). 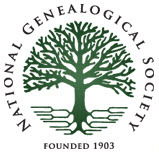 Please address all inquires to support@ngsgenealogy.org. NGS announces the release of Mastering Genealogical Proof by Thomas W. Jones, phd, cg, cgl, fasg, fngs. As a unique textbook on genealogical methods and reasoning in the twenty-first century, Mastering Genealogical Proof guides readers in acquiring genealogical skills transcending chronological, ethnic, geopolitical, and religious boundaries. Dr. Jones, a noted writer, lecturer, and editor in the field of genealogy, explains and develops the level of proof that is appropriate to genealogy. Dr. Jones relies on his vast experience as a genealogist to explain the various concepts and techniques involved in the genealogical research process. Mastering Genealogical Proof aims to help researchers, students, and new family historians reconstruct relationships and lives of people they cannot see. It presents content in digestible chunks. Each chapter concludes with problems providing practice for proficiently applying the chapter’s concepts. Those problems, like examples throughout the book, use real records, real research, and real issues. Mastering Genealogical Proof will first be available for purchase at the NGS 2013 Family History Conference in Las Vegas, Nevada, 8–11 May 2013. Dr. Jones will also be available for book signings at the NGS booth (#205) in the exhibit hall on Friday, 10 May, from 10:45 a.m.–12:00 noon and on Saturday, 11 May, from 10:00 a.m. – 11:00 a.m. Purchases may be made in advance of the signings in the NGS booth starting at 9:30 a.m. on Wednesday, 8 May, when the conference exhibit hall opens. Mastering Genealogical Proof may also be pre-ordered from the NGS online store at http://www.ngsgenealogy.org.